Dell branded (non-generic) 500GB 7.2K SATA HDD for your EqualLogic storage needs. 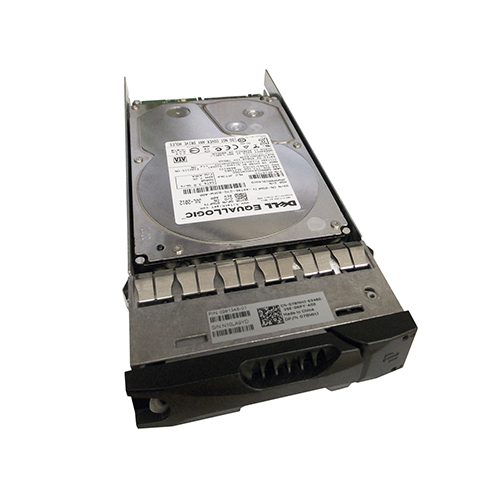 The 5WF7Y is a 500GB 7.2K RPM SATA hard drive with optional tray for use specifically in Dell EqualLogic storage arrays. Whether you’re upgrading your Dell EqualLogic storage system or simply looking for a replacement hard drive, we have what you need. Operating at 7200 RPM,the Dell EqualLogic 5WF7Y offers better overall performance than slower-RPM, capacity-oriented drives at impressively low power-consumption rates. When compared to the previous generation, the Dell EqualLogic 5WF7Y offers up to a 155% improvement in sustained data transfer rate. With five Advanced Power Management modes, a 36% reduction in watts during low-RPM idle mode, and using less than 1W during standby/sleep mode,the Dell EqualLogic 5WF7Y can help data centers achieve lower AC power and HVAC requirements,freeing up precious headroom for growing enterprise needs.